Hyderabad - Mumbai International Airport Pvt Ltd (MIAL), a GVK-Led Consortium, on Wednesday awarded 1.16 million square feet of land parcel at the airport for Rs 580 crore to Oasis Realty Pvt Ltd for commercial development. This transaction is part of the process of overall commercial development of 22 million square feet of the airport in phases over a period of ten years, GVK said in a press release here. Infrastructure giants GMR and GVK terminated their respective highway projects with National Highways Authority of India (NHAI) because they failed to collect equity required for the projects, and not because of long delays in environment clearances, NHAI Chairman R P Singh said. Following GMR Infra's footsteps, GVK Power & Infrastructure has also terminated a major highway contract with the National Highways Authority of India (NHAI). GVK has walked out of a major four-laning of the existing two-lane Shivpuri-Dewas highway in Madhya Pradesh. The NHAI had awarded the contract to GVK in January last year. The four-laning of the 332.46 kilometer highway was to be constructed in 30 months, and it was offered on a concession period of around three decades. GVK Power and Infrastructure has received environmental clearance for its Alpha coal and rail project in Australian state of Queensland on Thursday. The approval has been granted with 19 conditions to protect the environment by the authorities. The project is valued at A$10 billion or $10.4 billion. The initial approval from the state authorities is an achievement for the Indian company behind the project, which is believed to be one of the biggest coal projects in the country. Indian Infrastructure major GVK announced today that it has received environment clearance from the government in the Australian state of Queensland for its $10 billion Alpha Coal and rail project in Galilee Basin. Eh initial approval from the state authorities is an achievement for the Indian company behind the project, which is believed to be one of the biggest coal projects in the country. The company said in statement that it s now the only Galilee Basin proponent with an approved Environmental Impact Statement (EIS). 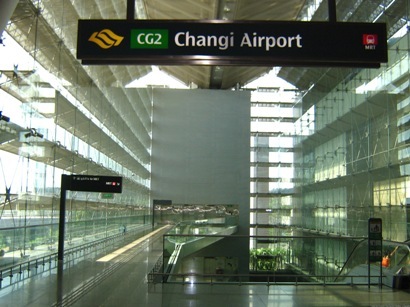 According to some reports, Singapore's Changi Airports Group might be planning to acquire a 26 per cent stake in GVK Airports unit in a deal worth around 2,200 crore. 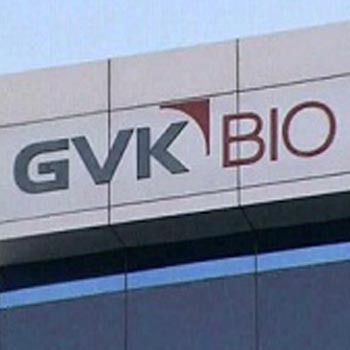 GVK Power & Infrastructure Ltd has said in a filing with the Bombay Stock Exchange (BSE) that it normally looks for business partners for growth in various industries within and outside India, but the group or any of its subsidiaries has not entered into an agreement with any company for a stake sale. Infrastructure major, GVK Power & Infrastructure Ltd has increased its stake in the Bangalore International Airport Ltd (BIAL), which manages the Bangaluru International Airport, to 43 per cent. GVK acquired additional14 per cent stake in BIAL from from Siemens for Rs 613.82 crore to up its state to 43 per cent from the current 29 per cent. The deal makes GVK, the single largest shareholder in BIAL, which will now be valued at Rs 4,378 crore. The GVK Power and Infrastructure has credited to be the largest stakeholder in Bangalore Airports subsequent to picking up another 14% shares at Rs 614 crore from Siemens. While commenting on the scenario, Analysts Deepak Agrawala and Bharat Parekh from Bank of America Merill Lynch (BAML) backed the raised concerns over the price at which GVK has bought stakes from Siemens. Sources have revealed that GVK has paid Rs 114-per share, almost two times more than its original offer to the German company two years ago, and now acquires 43% shares in Bangalore Airport. It has been revealed in a recent development that two coal mines from Australia are going to be bought by the energy giant, GVK Power. These shall require humongous funds and the firm is busy raising debts for the same. ICICI bank is going to be one of the major lenders for the firm. They are going to pay them as much as 1.2 billion for the same. "The loans will carry an interest of 10% and will be completed in the next 2 weeks. The funding will be raised via a special purpose vehicle that will be registered overseas”, said a person involved in these major transactions. Technical analyst Sanjay Surekha maintained 'hold' rating on GVK Power and Infrastructure Limited stock. According to analyst, the stock can be purchased with a stop loss of Rs 33. He also said that the investors can exit the stock on a rally. The stock of the company, on January 19, closed at Rs 34.75 on the Bombay Stock Exchange (BSE). The share price has seen a 52-week high of Rs 52.40 and a low of Rs 34.70 on BSE. Current EPS & P/E ratio stood at 0.98 and 35.28 respectively. India's power and infrastructure Company, GVK Power and Infrastructure saw it share price shoot up after announcement of plans to buy stake in BIAL. The stake buying will be done by taking over Siemen's 40 per cent stake. After this it will have majority stake in Bangalore International Airport. At present, GVK holds 29 per cent holdings. Talking to media, GVK Group's chairman, GV Krishna Reddy said that he is ready to buy stake from Siemens if and when it is ready to sell. However, GVK will be having the first right of refusal. Technical Analyst Anil Singhvi has maintained 'buy' rating on GVK Power & Infrastructure Ltd stock to achieve an intraday target of Rs 50. According to him, interested traders can purchase the stock with a stop loss of Rs 45.25. The shares of the company, on April 27, closed at Rs 46.40 on the Bombay Stock Exchange (BSE). The share price has seen a 52-week high of Rs 53.75 and a low of Rs 26.60 on BSE. Current EPS & P/E ratio stood at 0.87 and 53.08 respectively. GVK Power and Infrastructure has notified that its unit GVK Airport Developers has bought a 12 percent stake in Bangalore International Airport Ltd for Rs 485 crore. GVK Power’s wholly owned subsidiary has acquired this stake from Flughafen Zuerich AG, which will be completed upon obtaining necessary consents. 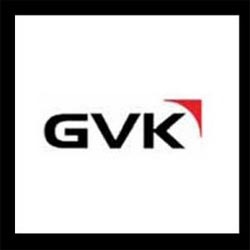 GVK Power & Infrastructure Ltd has reported a 19 per cent decline, to 327.3 million rupees, in its net consolidated profit for the first quarter ended June 30, due to higher interest costs during the period. However, its net sales doubled to 3.3 billion rupees, as compared to 1.3 billion rupees in the corresponding period last year, primarily due to handsome revenue from its newly built two power plants with 684 mega watts capacity. Stock market analyst Ashwani Gujral has maintained ‘Buy’ rating on GVK Power & Infrastructure to achieve an intraday target of Rs 50. According to Mr. Gujral, interested traders can buy the stock with a strict stop loss of Rs 36. Shares of the company, on Thursday (June 18), closed at Rs 39.60 on the Bombay Stock Exchange (BSE). Current EPS & P/E ratio stood at 0.15 and 271 respectively. The share price has seen a 52-week high of Rs 50.50 and a low of Rs 10.30 on BSE.